Suman Yethadka Kumar is inspiring others to lead a full, healthy, happy life. 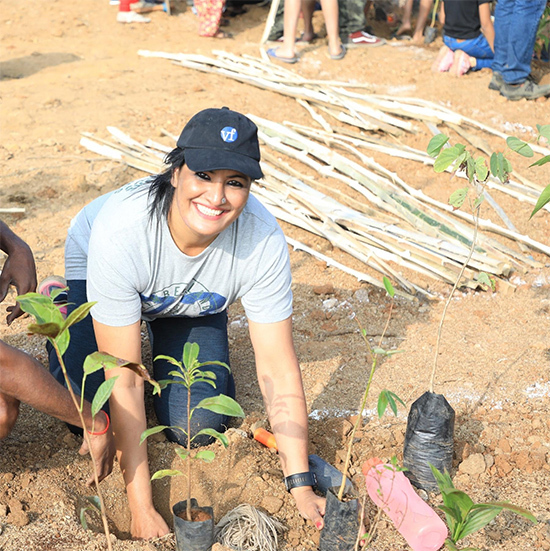 Suman Yethadka Kumar, Senior Merchandiser for Timberland® at VF’s India Asia Sourcing Office, is inspiring others to lead healthier lives by participating in the sport of running. An avid runner, Suman is preparing to run her first full marathon by 2020. Suman’s contributions at work and within her community are the ethos of Women’s History Month, being celebrated throughout March to recognize the contributions of women. Growing up in the rural town of Kasaragod in Kerala, India, Suman Yethadka Kumar walked four miles every day to attend school. These daily walks introduced her to the joy of exercise and the sport of running. Since those early days, Suman worked her way out of rural India and into an exciting career as Senior Merchandiser of Team Timberland working from VF India’s Asia Sourcing Office in Bangalore. But Suman hails from a country with traditional values, where women do not enjoy equality, or the social status afforded to men. Following her dreams and her passion came with pressure. She knew she could not afford to fail. “They shared a lot with me, not only knowledge and information about how to be a better marathon runner, but also the happiness and joy of participating in running,” said Suman. In 2016, Suman participated in her first race and quickly signed up for more. At work, her enthusiasm was infectious. In 2017 when Suman signed up to run a 10km (6 mile) race, she was joined by nearly 30 colleagues from the VF India office. Three of those colleagues went on to join her in a half marathon later that same year. Up next? Suman is organizing a running event for associates of the VF India office in May. Although plans are not set, 30 associates expressed interest, half of whom are women. After her husband’s death, Suman’s friends and coworkers suggested she move to a new home as a way of leaving the sadness behind. She refused, choosing instead to focus on the happy memories and looking toward tomorrow. She chooses hope, without compromise.